The Department of Foreign Affairs (DFA), strongly believe that the Arbitral Tribunal, will be favoring our country on the current crisis between the Philippines vs China in some disputed islands in West Philippine Sea. 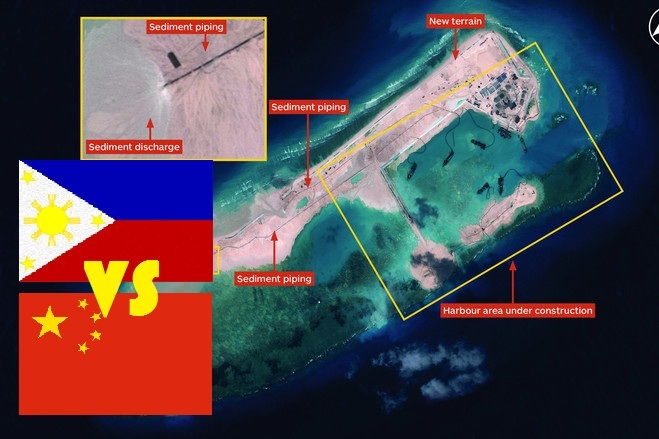 DFA, spokesman Charles Jose, said that they welcome the decision of the Arbitral Tribunal and its jurisdiction over the case. But China, already expressed that they will not join the abitration and will not recognize any decision of the Tribunal. In a 151 - page decision of the Permanent Court of Arbitration , there is no basis for the argument that China 's South China Sea dispute is about the sovereignty of the disputed territory . According to the tribunal , after reviewing the claim filed by the Philippines , the case of the South China Sea is considered to be disputed between the two countries in relation to the interpretation of the United Nations Convention on the Law of the Sea. However, the tribunal clear that the decision is unrelated to the merits of the case filed by the Philippines . There will be more closed-door hearing in The Hague and possibly next year they release a final decision in the case of the Philippines . The statement of the Permanent Court of Arbitration , gives a unanimous decision of the five judges of the tribunal to handle the case . But only seven of the 15 claims filed by the Philippines will discussing by the tribunal . The decision of the Permanent Court of Arbitration, give a positive development over the Philippines and it might finally resolve the problems over the disputed island in west Philippine sea. And it will also resolve the misunderstanding between the two countries. A diplomatic and legal means is the best strategy to resolve the " conflict" of two country in relation to the disputed territories in the West Philippine Sea or South China Sea. No Comment to " Philippines Are Positive That The Tribunal Are Favoring The Country Over China In Disputed Islands Over WPS "